With the introduction and streamlining of Electronic Clearing Services (ECS) by the Income Tax (I-T) Department, taxpayers have started receiving refunds within the stipulated 90 days. “Many individual taxpayers who opted for refund directly to their bank accounts last year got money even within a month of filing. Cheques still take time,” says Rajeev Jain, an independent chartered accountant. He said this included amounts as low as Rs. 300, which earlier would have taken much longer. The government recently introduced The New Income Tax Return (ITR) Forms that would be available for e- filing by the third week of June. If you opted for the ECS facility and didn’t receive the refund within 90 days, there could be a problem. Log on to https://www.tin-nsdl.com/, from the top menu, select ‘ service’ and then click on ‘ status of tax refunds’. On the new page that opens, you can enter your permanent account number (PAN) card details and the assessment year to check the status. There’s information available for the past 10 years. 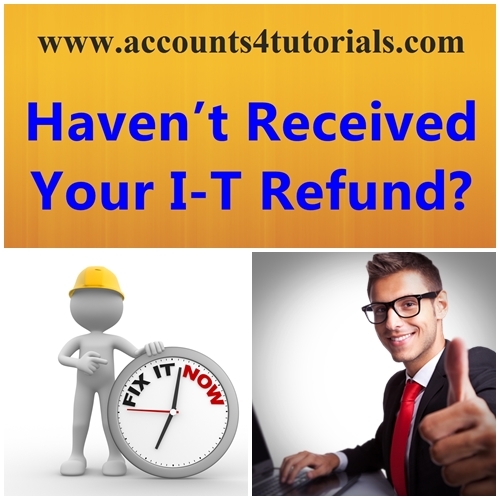 The status message will tell you the reason for which the refund was not initiated. If the message says ‘ refund not determined’, it means the taxpayer’s filing have not been processed so far. The department is still working on it and there are no specific deadlines or guidance available on the period for processing of such return with the said status. But if the status says ‘ No e- filing has been done for this assessment year’, though you may have already filed returns; it means you either didn’t send the Acknowledgement slip (ITR- V) to the central processing centre ( CPC) at Bengaluru or the department has not received it for some reason. The ITRV should reach central processing centre ( CPC) within 120 days of filing of return. “Submit the ITR- V signed copy nevertheless, even if the stipulated time has passed. There have been times when the I- T department has suo motu extended the period for submission and the returns were treated as valid,” says Suresh Surana, founder, RSM Astute Consulting Group. If it is not accepted, you will need to file a revision. If the status says the ‘ refund is paid’, it could mean that the money is adjusted against any outstanding tax demand of other years, according to the record of the department. “It could also be on account of defaults such as address given for dispatch is a foreign address, or mandatory information in respect of bank account is missing, or refund cheque dispatched was returned as the concerned party was not available at the address provided,” says Bhavin Shah, associate director - direct tax, BDO India. The other common message taxpayers receive is ‘no demand no refund’. It implies there is no tax payable or refundable to the taxpayer. This could also be because there are some deductions you may have missed and therefore, no refund is applicable. In such cases, the taxpayer needs to file a revision. If you are asked to contact jurisdictional assessing officer in the status message, it implies that CPC has processed the return and the same has been referred to the jurisdictional assessing officer either because the department has initiated assessment proceedings under Section 143 or there is a rectification, which in your returns and rejects the refund claim. The taxpayer is usually informed via text message and email, which also state the reason.